Authors: Thomas M Evans, David K Sing, Tiffany Kataria, et al. Disclaimer: I work in the same department as the lead author and several co-authors, but have not had any scientific involvement in this project. Today we focus on one particularly weird hot Jupiter: WASP-121b. This planet is just 0.025AU from its host star, meaning that it orbits the star every 1.28 days. Any visitors to this planet get to celebrate a lot of birthdays! However, they would also have to survive the toasty ~2700K upper atmosphere, so I suggest you think twice before investing in party hats. The authors of today’s paper measured the secondary eclipse of the planet with both the Hubble and Spitzer space telescopes. The secondary eclipse is the period where the planet moves behind the host star, so that it is hidden from view for a short time. At this point, the flux we measure from the star+planet system is slightly lower than when the planet appears beside the star, immediately before or after the eclipse. Such measurements of secondary eclipses allow astronomers to measure the flux being emitted by the day side of the planet. The results are pretty exciting! For the first time, this paper confirms the presence of a stratosphere on a hot Jupiter. This means the temperature increases as the pressure decreases higher up the atmosphere – just like in the Earth’s stratosphere. There has been some debate as to whether a stratosphere could form on a hot Jupiter, and this paper answers that question: for an extremely close hot Jupiter, so much starlight is dumped onto the upper atmosphere that these very high regions of atmosphere are hotter than the layers further down. Figure 1 shows the temperature-pressure profile of the system, with the stratosphere structure clearly visible. 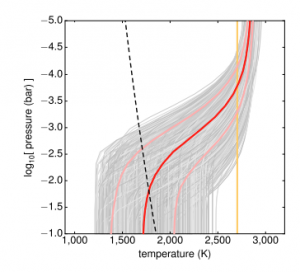 Figure 1: The temperature-pressure profile of the planet: the grey lines are generated by an MCMC, meaning that they’re all random models near the best fit, and are clustered around the best fit. The red line shows the best fit, and the two pink lines show the 1-sigma constraints either side of it. The yellow line is an example isothermal profile, which is the same at every pressure. 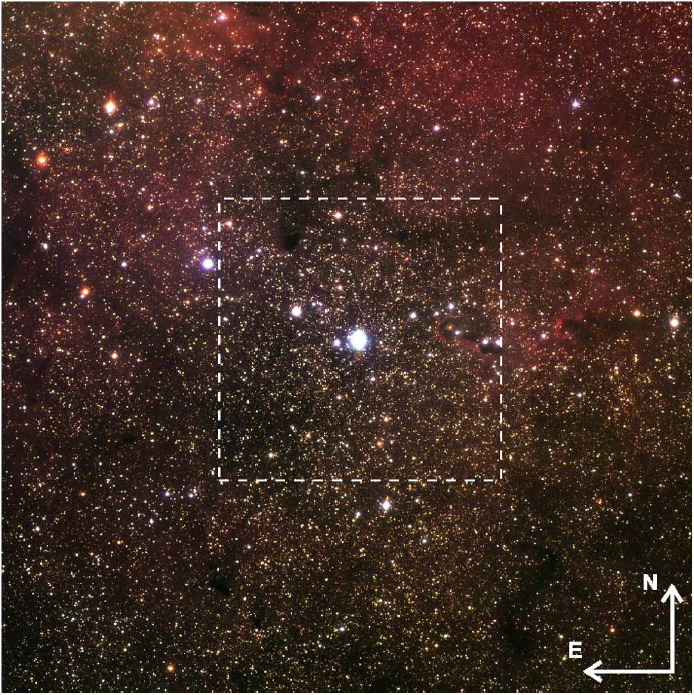 Figure 3 in the paper. The authors also attempt to study the molecules in the atmosphere, but this is a little more complicated. A previous detection of water is confirmed, and some absorption by Vanadium Oxide (VO) is also detected. However, the VO detection implies a concentration of 1000x the solar abundance, and so the authors are suspicious of this result. They suggest that this detection might be due to a modelling degeneracy, or that the absorption could be from an unknown source. The authors also search for several other molecules: TiO, FeH, CrH, CO, CH4 and NH3, but find that adding these molecules to the model doesn’t improve their fit to the data significantly. The jury is out on these molecules for now, but I’m sure future studies will revisit the chemical makeup of this planet! This paper is one more piece of evidence that hot Jupiters can have a wide range of properties. Although we still don’t fully understand this diversity, each atmosphere that is studied helps to add one more piece to the puzzle. The upcoming launch of the James Webb Space Telescope will give access to vastly improved spectra, meaning that planets like these can be studied in even more detail – and I’ll be waiting impatiently to see what secrets they reveal! As a bonus, here’s a 3-D video of the WASP-121 planetary system, put together by @-Bristol, Exeter Astrophysics and Engine House. Take a look to see how visiting this extreme exoplanet might feel!